[S722] Richard Carlton Fulcher, comp., 1770-1790 Census of the Cumberland Settlements: Davidson, Sumner and Tennessee Counties (In What Is Now Tennessee) (Baltimore, Md. : Genealogical Publishing Co., Inc., 1987), p. 131 (giving only his last name). [S152] Probate Records, Washington County, Texas, Estate of James D. Estes, Deceased, file 150 (as to value of estate). [S591] Tammy Van Horn, electronic mail to Roger Bartlett, 10 Sep 2000 (as to all information except value of estate). [S152] Probate Records, Washington County, Texas, Estate of James D. Estes, Deceased, file 150 (suggesting that James D. Estes was the father of Amanda Monroe Estes by naming Jesse Bartlett, James Bartlett, Thomas Bartlett, and Frances Bartlett as minor heirs of James D. Estes [who died after Amanda died] and Joseph C. Bartlett of Navarro Co., Tex. as their guardian). [S168] Bess Bartlett Buchanan, Wichita Falls, Tex., miscellaneous papers, (chart of Nimrod Williams's descendants, provided by Garrett B. Drummond, Jr. to Roger Bartlett 28 Jun 1973, naming Nimrod Williams as her father). Copies of these papers were provided by Garrett B. Drummond, Jr., 567 South L St., Livermore, Calif. 94550, to Roger Bartlett in June 1973. [S423] Robert Williams, electronic mail to Roger Bartlett, 12 Jul 1998, (naming Nimrod Williams as her father). [S430] Bessie Lee Bartlett Buchanan, Wichita Falls, Tex., "D.A.R. Ancestral Chart," handwritten, undated, copy in possession of Roger Bartlett, (naming Nimrod Williams as her father). [S461] Jerry A. Simpson, Tyler, Tex., computer file sent to Roger Bartlett, 21 Mar 1999, (naming Nimrod Williams as her father). [S722] Richard Carlton Fulcher, comp., 1770-1790 Census of the Cumberland Settlements: Davidson, Sumner and Tennessee Counties (In What Is Now Tennessee) (Baltimore, Md. : Genealogical Publishing Co., Inc., 1987), p. 131 (naming Nimrod Williams as her father). [S168] Bess Bartlett Buchanan, miscellaneous papers, above, (chart of Nimrod Williams's descendants, provided by Garrett B. Drummond, Jr. to Roger Bartlett 28 Jun 1973, naming Christiana Griffin as her mother). [S423] Robert Williams, electronic mail to Roger Bartlett, 12 Jul 1998, (naming Christiana Griffin as her mother). [S430] Bessie Lee Bartlett Buchanan, Wichita Falls, Tex., "D.A.R. Ancestral Chart," above, (naming Christiana Griffin as her mother). [S461] Jerry A. Simpson, 23 Mar 1999 computer files, above, (naming Christiana Griffin as her mother). [S430] Bessie Lee Bartlett Buchanan, Wichita Falls, Tex., "D.A.R. Ancestral Chart," above. [S722] Richard Carlton Fulcher, comp., 1770-1790 Census of the Cumberland Settlements [etc. ], above, p. 131 (giving only his last name). [S111] Supposition as to date, based on list of heirs of husband's estate. [S152] Probate Records, Washington County, Texas, Estate of James D. Estes, Deceased, file 150. [S168] Bess Bartlett Buchanan, miscellaneous papers, above, (chart of Nimrod Williams's descendants, provided by Garrett B. Drummond, Jr. to Roger Bartlett 28 Jun 1973, naming Eunice Williams as her mother). [S430] Bessie Lee Bartlett Buchanan, Wichita Falls, Tex., "D.A.R. Ancestral Chart," above, (naming Eunice Williams as her mother). Marriage*: He married Patsy Mooring, daughter of Burwell Mooring. Marriage*: He married Sallie Taylor. [S66] Pat Gaines, letter to Roger Bartlett, 29 May 1982. Birth*: He was born on 19 June 1842 in Walker County, Texas. Death*: He died on 18 June 1844 in Walker County, Texas, at age 1. [S85] R. B. Edmundson, "Wright Edmundson," in Navarro County History, vol. 2 (Corsicana, Tex. : The Navarro County Hist. Soc'y, 1978), p. 387. • Another Find A Grave memorial for him, under the name Sgt. J. William Edmundson, is here. [S179] Rice Cemetery Association Directory (n.p. : n.pub., 1985) (giving the date but no other information). This publication includes a map showing the locations of the five sections of the cemetery. The pages are not numbered. A copy is in the possession of Roger Bartlett, Austin, Tex. [S440] Navarro County Cemetery Records, vol. 4 (Corsicana, Tex. : The Navarro County Gen. Soc'y, 1985), p. 89 (giving the date but no other information). [S961] Find A Grave, online at http://www.findagrave.com, memorial for William Edmundson, memorial no. 37443404, viewed on 12 Feb 2012 (giving the date but no other information). [S961] Find A Grave, online, above, memorial for Sgt. J. William Edmundson, memorial no. 7630292, viewed on 12 Feb 2012 (giving the date but no other information). [S11] Index to Texas Death Records (Austin, Tex. : Tex. Dept. of Health, Bur. of Vital Statistics), typescript, 1903-40, vol. 15, p. 7059, file 25261. [S440] Navarro County Cemetery Records, vol. 4, above, p. 89. [S961] Find A Grave, online, above, memorial for William Edmundson, memorial no. 37443404, viewed on 12 Feb 2012. [S961] Find A Grave, online, above, memorial for Sgt. J. William Edmundson, memorial no. 7630292, viewed on 12 Feb 2012. [S179] Rice Cemetery Association Directory, above (stating that he was born on 19 Dec 1914). [S440] Navarro County Cemetery Records, vol. 4, above, p. 89 (stating that he was born on 19 Dec 1914). [S961] Find A Grave, online, above, memorial for Sgt. J. William Edmundson, memorial no. 7630292, viewed on 12 Feb 2012 (giving information about his military service). "Funeral services for Joe Edmundson, 98, who died at his home in Tupelo Saturday were held Sunday at 3 p.m. from the First Baptist church at Rice. Burial was in the Rice Cemetery. "The rites were conducted by Rev. 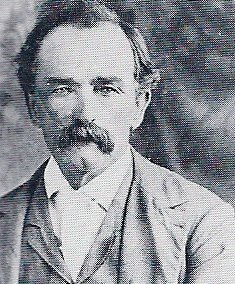 Jack Bell, pastor of the church and Rev. G. C. Henry, Baptist minister. "A native of Chatfield, he had resided in Northeast Navarro county all of his life. "Surviving are a son, J. W. Edmundson, Anthony, N.M; two daughters, Mrs. R. B. Burdine, Tupelo, and Mrs. J. E. Ayers, Dallas; three grandchildren and six great-grandchildren. "Pallbearers were John Bowden, R. M. Bowden, Clark McMullan, Pleas Mitchell, Ralph Wheeler and Ernest Cummings. Note*: • He lived in northeastern Navarro County, Texas all his life. [S79] Mrs. Dillard Ellington, "Joe Edmundson Family," in Navarro County History, vol. 2 (Corsicana, Tex. : The Navarro County Hist. Soc'y, 1978), p. 206 (naming Wright Edmundson as his father). [S79] Mrs. Dillard Ellington, "Joe Edmundson Family," above (naming Edith Sugg as his mother). [S961] Find A Grave, online at http://www.findagrave.com, memorial for Joe Edmundson, memorial no. 33223675, viewed on 12 Feb 2012 (giving the date but no other information). [S15] Navarro County, Texas Marriages, vol. 2, 1889-1899 (Corsicana, Tex. : The Navarro County Gen. Soc'y, 1987), p. 131 (citing Navarro County, Texas Marriage Records, vol. VII, p. 211, giving her name as Endora E. Pickering, and not giving the city). [S79] Mrs. Dillard Ellington, "Joe Edmundson Family," above (giving the date but no other information). [S961] Find A Grave, online, above, memorial for Dora Edmundson, memorial no. 33223692, viewed on 12 Feb 2012 (not giving the date or other information). [S961] Find A Grave, online, above, memorial for Joe Edmundson, memorial no. 33223675, viewed on 12 Feb 2012 (not giving the date or other information). [S11] Index to Texas Death Records (Austin, Tex. : Tex. Dept. of Health, Bur. of Vital Statistics), typescript, 1946-55, vol. 6, p. 2880, file 56045. [S1207] Corsicana Daily Sun, Corsicana, Tex., online archive at http://corsicana.newspaperarchive.com, 10 Nov 1952, p. 2, col. 2 (obituary of Joe Edmundson). [S179] Rice Cemetery Association Directory, above (giving the place but not the date). [S440] Navarro County Cemetery Records, vol. 4, above, p. 89 (common marker with Dora Edmundson) (giving the place but not the date). [S961] Find A Grave, online, above, memorial for Joe Edmundson, memorial no. 33223675, viewed on 12 Feb 2012 (giving the place but not the date). [S1207] Corsicana Daily Sun, Corsicana, Tex., online archive, above, 10 Nov 1952, p. 2, col. 2 (reprinted here with consent of the Corsicana Daily Sun). [S79] Mrs. Dillard Ellington, "Joe Edmundson Family," above (second bullet). [S1207] Corsicana Daily Sun, Corsicana, Tex., online archive, above, 10 Nov 1952, p. 2, col. 2 (obituary of Joe Edmundson) (first bullet). [S79] Mrs. Dillard Ellington, "Joe Edmundson Family," above. Other Names*: Dora Pickering, Dora Edmundson, Eudora Ernestine Edmundson. [S79] Mrs. Dillard Ellington, "Joe Edmundson Family," in Navarro County History, vol. 2 (Corsicana, Tex. : The Navarro County Hist. Soc'y, 1978), p. 206 (naming Ira Pickering as her father). [S79] Mrs. Dillard Ellington, "Joe Edmundson Family," above (naming Sara Jane Wilson as her mother). [S961] Find A Grave, online at http://www.findagrave.com, memorial for Dora Edmundson, memorial no. 33223692, viewed on 12 Feb 2012 (giving the date but no other information). [S11] Index to Texas Death Records (Austin, Tex. : Tex. Dept. of Health, Bur. of Vital Statistics), typescript, 1903-40, vol. 15, p. 7059, file 25260 (giving her name as Dora Edmundson). [S440] Navarro County Cemetery Records, vol. 4, above, p. 89 (common marker with Joe Edmundson). [S961] Find A Grave, online, above, memorial for Dora Edmundson, memorial no. 33223692, viewed on 12 Feb 2012. Burial*: Interment was in Chatfield, Navarro County, Texas. Birth*: She was born on 11 February 1838 in North Carolina. Death*: She died in 1857 in Waxahachie, Ellis County, Texas. Marriage*: She married Frank Killiam on 4 February 1868 in Chatfield, Navarro County, Texas. Marriage*: He married Julia Edmundson, daughter of Wright Edmundson and Edith Sugg, on 4 February 1868 in Chatfield, Navarro County, Texas. Burwell Edmundson, from Navarro County History, vol. 2, p. 387. Note*: He was born about four miles east of Huntsville, Texas, on Harmons Creek, where his parents farmed and his father operated a blacksmith shop and a mill powered by a water wheel. Burwell remembered being told, at age 5 or 6, by a bearded, old wheelwright that if he lived to be as old as the wheelwright he would see people flying through the air. The family moved to near Chatfield in 1854 and two years later moved to Waxahachie, where they operated a ranch, blacksmith shop, and grocery store. Burwell worked carrying the mail by horse between Waxahachie and Athens in 1857, and in 1858 the family moved to Waco, where Burwell's father operated a hotel until he died in 1860. Burwell remembered seeing Cynthia Ann Parker at the hotel after she was taken from her Indian family. He, his mother, and his siblings moved to a farm in Navarro County, between Chatfield and Porter's Bluff. He enlisted in the Confederate Army in August 1862 and was at the Battle of Vicksburg. He was released by the Union Army on July 10, 1863, about a week after the surrender, and Burwell walked most of the way back to Navarro County while suffering from malnutrition. After a two-month rest, he reported to Galveston and served on guard duty there until the end of the war. He then returned to Chatfield and worked driving cattle to Shreveport and New Orleans until 1869. After their marriage, Burwell and Jane lived for a couple of years in a log cabin between Chatfield and Porter's Bluff, then moved in 1871 to a farm about 4-5 miles south of Oak Grove, in Ellis County, where the children attended school, and in 1894 moved to Rice, where he and Jane lived the rest of their lives. • On the occasion of his 98th birthday in 1940, The Dallas Morning News published this article about his life, including his Civil War service. • His Find A Grave memorial, including pictures of his grave markers, is here. [S82] R. B. Edmundson, "Burwell Edmundson," in Navarro County History, vol. 2 (Corsicana, Tex. : The Navarro County Hist. Soc'y, 1978), p. 387. [S961] Find A Grave, online at http://www.findagrave.com, memorial for Corp. Burwell Edmundson, memorial no. 7630281, viewed on 12 Feb 2012 (giving the date and state). [S961] Find A Grave, online, above, memorial for Jane T. Edmundson, memorial no. 33223767, viewed on 12 Feb 2012 (not giving the date or other information). [S961] Find A Grave, online, above, memorial for Corp. Burwell Edmundson, memorial no. 7630281, viewed on 12 Feb 2012 (not giving the date or other information). [S961] Find A Grave, online, above, memorial for Corp. Burwell Edmundson, memorial no. 7630281, viewed on 12 Feb 2012 (giving the date but no other information). [S440] Navarro County Cemetery Records, vol. 4, above, p. 89 (common marker with Jane T. Edmundson). [S961] Find A Grave, online, above, memorial for Corp. Burwell Edmundson, memorial no. 7630281, viewed on 12 Feb 2012. [S440] Navarro County Cemetery Records, vol. 4, above, p. 89 (naming B. Edmundson as his father). [S961] Find A Grave, online, above, memorial for Charles W. Edmundson, memorial no. 33223790, viewed on 12 Feb 2012 (naming Burwell Edmundson as his father). [S961] Find A Grave, online, above, memorial for Jessee L. Edmundson, memorial no. 33223803, viewed on 12 Feb 2012 (naming Burwell Edmundson as his father). 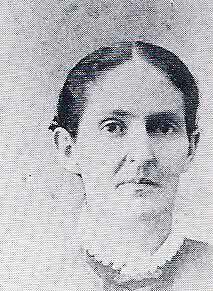 Jane Tabitha Heys Edmundson, from Navarro County History, vol. 2, p. 387. Other Names*: Jane Tabitha Hays, Jane Tabitha Hayes, Jane Heys Edmundson, Jane Hays Edmundson, Jane Hayes Edmundson, Jane Tabitha Edmundson, Jane Edmundson. "Mrs. Jane Edmondson, aged seventy [sic], of Rice, Texas, was fatally injured Saturday afternoon when she became frightened by the discovery of a snake in the car and jumped from the automobile. She died at 8:30 Saturday night, and funeral services were held in Rice Sunday afternoon. [S440] Navarro County Cemetery Records, vol. 4 (Corsicana, Tex. : The Navarro County Gen. Soc'y, 1985), p. 89. [S961] Find A Grave, online at http://www.findagrave.com, memorial for Jane T. Edmundson, memorial no. 33223767, viewed on 12 Feb 2012. [S7] Navarro County, Texas Marriages, vol. 1, 1846-1888 (Corsicana, Tex. : The Navarro County Gen. Soc'y, 1987), p. 18 (citing Navarro County, Texas Marriage Records, vol. I, p. 304a) (giving her name as J. T. Hayes). [S1207] Corsicana Daily Sun, Corsicana, Tex., online archive at http://corsicana.newspaperarchive.com, 16 May 1927, p. 4, col. 5 ("Aged Rice Woman Leaps to Death To Avoid Snake in Car"). [S440] Navarro County Cemetery Records, vol. 4, above, p. 89 (common marker with Burwell Edmundson) (giving the place but not the date). [S961] Find A Grave, online, above, memorial for Jane T. Edmundson, memorial no. 33223767, viewed on 12 Feb 2012 (giving the place but not the date). [S1207] Corsicana Daily Sun, Corsicana, Tex., online archive, above, 16 May 1927, p. 4, col. 5 ("Aged Rice Woman Leaps to Death To Avoid Snake in Car") (stating that her funeral was held on 15 May 1927 in Rice but not mentioning burial). [S1207] Corsicana Daily Sun, Corsicana, Tex., online archive, above, 16 May 1927, p. 4, col. 5 (misstating her age as 70; she was 76) (reprinted here with consent of the Corsicana Daily Sun). [S440] Navarro County Cemetery Records, vol. 4, above, p. 89 (naming Jane Edmundson as his mother). [S961] Find A Grave, online, above, memorial for Charles W. Edmundson, memorial no. 33223790, viewed on 12 Feb 2012 (naming Jane T. Edmundson as his mother). [S961] Find A Grave, online, above, memorial for Jane T. Edmundson, memorial no. 33223767, viewed on 12 Feb 2012 (naming Jane T. Edmundson as his mother). [S961] Find A Grave, online, above, memorial for Jane T. Edmundson, memorial no. 33223767, viewed on 12 Feb 2012 (spelling her name as Jessee and naming Jane T. Edmundson as her mother). [S961] Find A Grave, online, above, memorial for Jessee L. Edmundson, memorial no. 33223803, viewed on 12 Feb 2012 (naming Jane T. Edmundson as his mother). Birth*: She was born on 14 February 1836 in North Carolina. Marriage*: She married William Pigg in 1858 in Waco, McLennan County, Texas. Death*: She died on 16 August 1911 in Waco, McLennan County, Texas, at age 75. [S179] Rice Cemetery Association Directory (n.p. : n.pub., 1985) (giving her name as Fannie Pigg). This publication includes a map showing the locations of the five sections of the cemetery. The pages are not numbered. A copy is in the possession of Roger Bartlett, Austin, Tex. Marriage*: He married Frances Edmundson, daughter of Wright Edmundson and Edith Sugg, in 1858 in Waco, McLennan County, Texas. Birth*: She was born on 7 October 1840 in Mississippi. [S440] Navarro County Cemetery Records, vol. 4 (Corsicana, Tex. : The Navarro County Gen. Soc'y, 1985), p. 90 (naming Wright Edmundson as her father). [S440] Navarro County Cemetery Records, vol. 4, above, p. 90 (naming Edith Edmundson as her mother). [S440] Navarro County Cemetery Records, vol. 4, above, p. 90 (giving only the date). [S179] Rice Cemetery Association Directory (n.p. : n.pub., 1985) (giving her name as Nancy B. Edmundson). This publication includes a map showing the locations of the five sections of the cemetery. The pages are not numbered. A copy is in the possession of Roger Bartlett, Austin, Tex. [S440] Navarro County Cemetery Records, vol. 4, above, p. 90. [S961] Find A Grave, online at http://www.findagrave.com, memorial for Edith Edmundson, memorial no. 33225021, viewed on 12 Feb 2012 (naming Wright Edmundson as her father). [S961] Find A Grave, online, above, memorial for Edith Sugg Edmundson, memorial no. 33225294, viewed on 12 Feb 2012 (naming Edith Sugg Edmundson as her mother). [S961] Find A Grave, online, above, memorial for Edith Edmundson, memorial no. 33225021, viewed on 12 Feb 2012 (naming Edith Sugg Edmundson as her mother). [S961] Find A Grave, online, above, memorial for Edith Edmundson, memorial no. 33225021, viewed on 12 Feb 2012. [S440] Navarro County Cemetery Records, vol. 4, above, p. 89 (giving the date but not the place). [S11] Index to Texas Death Records (Austin, Tex. : Tex. Dept. of Health, Bur. of Vital Statistics), typescript, 1903-40, vol. 15, p. 7054, file 48168. Birth*: He was born in 1732. Marriage*: He married Elizabeth Murphrey, daughter of John Murphrey and Elizabeth Harrison. Marriage*: She married John Sugg, son of Aquilla Sugg. Death*: He died in 1734. Marriage*: He married Mary Sutton, daughter of Thomas Sutton and Elizabeth Chancey. Marriage*: She married Lemuel Hardy Jr., son of Lemuel Hardy and Elizabeth Parrott. Marriage*: He married Elizabeth Parrott. Marriage*: She married Lemuel Hardy. Birth*: He was born on 15 March 1699. Marriage*: He married Elizabeth Chancey, daughter of William Chancey and Deborah Symons. Death*: He died on 3 February 1750 at age 50. Birth*: She was born on 8 December 1701. Marriage*: She married Thomas Sutton, son of Joseph Sutton and Parthenia Durant. Marriage*: He married Deborah Symons. Marriage*: She married William Chancey. Birth*: He was born on 6 August 1673. Marriage*: He married Parthenia Durant, daughter of George Durant and Ann Marwood, on 18 June 1695. Death*: He died on 18 January 1723 at age 49. [S886] Gerry Seymour, electronic mail to Roger Bartlett, 12 Oct 2003, (naming Joseph Sutton as her father and citing Waynette Parks Haun, ed., Old Albemarle County North Carolina Perquimans Precinct Birth, Marriages, Deaths and Flesh Marks 1629-1820). Birth*: She was born on 1 August 1675. Marriage*: She married Joseph Sutton, son of Nathaniel Sutton and Deborah Austine, on 18 June 1695. [S886] Gerry Seymour, electronic mail to Roger Bartlett, 12 Oct 2003, (naming Parthenia Durant as her mother and citing Waynette Parks Haun, ed., Old Albemarle County North Carolina Perquimans Precinct Birth, Marriages, Deaths and Flesh Marks 1629-1820). Marriage*: He married Ann Marwood. Marriage*: She married George Durant. Birth*: He was born circa 1637. Marriage*: He married Deborah Austine on 12 August 1668. Death*: He died on 29 December 1682. Marriage*: She married Nathaniel Sutton, son of George Sutton, on 12 August 1668. Birth*: He was born circa 1620. Death*: He died on 12 April 1669. Marriage*: He married Lydia Huckstep. Marriage*: She married Nathaniel Tilden. Marriage*: He married Elizabeth Harrison, daughter of Hon. Benjamin Harrison and Elizabeth Burwell. Marriage*: She married John Murphrey, son of Michael Murphrey and Elizabeth Hampton.